Johannes Bauer’s untimely death last year probably was the most tragic loss for Germany’s improvising scene since Peter Kowald died in 2002, as both were at the height of their creativity when they passed away. Bauer had been diagnosed with cancer about two years before he died, but he didn’t stop making plans for the different ensembles he played with, including Grid Mesh (with Andreas Willers, Frank Paul Schubert and Willi Kellers) and the Tradition Trio (with Alan Silva and Roger Turner), for example. And he also wanted to be part in a trombone quartet with Jeb Bishop, Matthias Müller and Matthias Muche. Muche and Bishop had played together in the Spinifex Maximus project, Müller and Bishop had met in Berlin before. Johannes Bauer and Jeb Bishop knew each other from Peter Brötzmann’s Chicago Tentet and they also had a duo called JB2. Muche and Müller had a similar one: MM2 Session. So it was an obvious idea to bring the two duos together and they organized a gig at the Stadtgarten in Cologne. According to the liner notes the other band members already knew that Bauer’s health was declining, but nonetheless they were positive that they could make the concert happen. Unfortunately, Bauer had to inform them that he wouldn’t be able to join them, so Bishop, Müller and Muche decided to play as a trio. As it turned out, the date of the show was the day of Johannes Bauer’s death and consequently the trio dedicated the concert to the man, his legacy and his music. Those who are familiar with Johannes Bauer’s music know that his style was deeply rooted in the jazz tradition, he was always swinging. Moreover, he enriched this playing with extended techniques like breathing and gargling sounds. 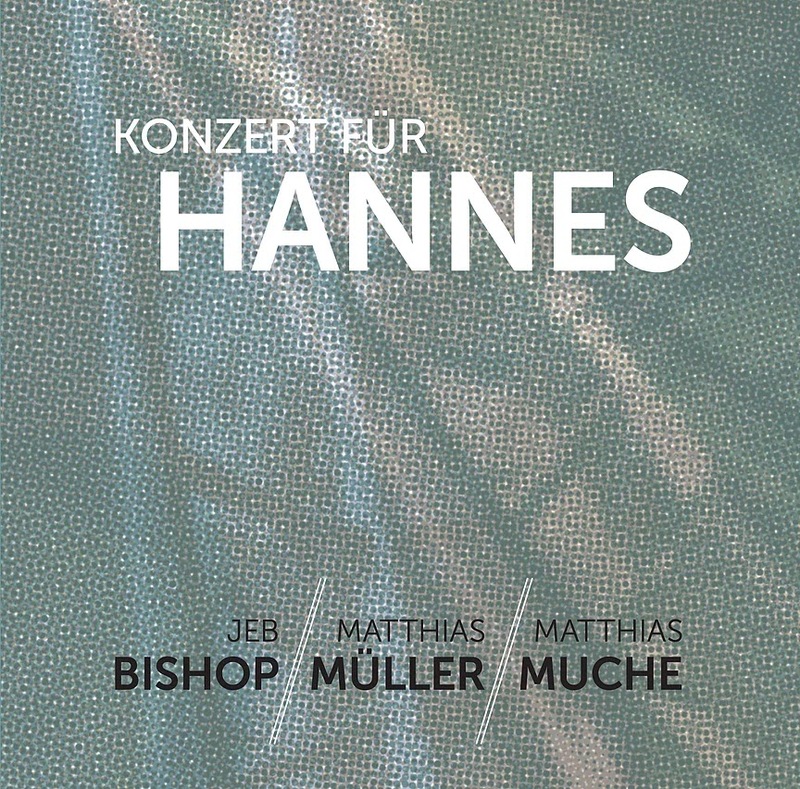 On Konzert für Hannes (Concert for Hannes), Bishop, Müller and Muche distribute this approach on three shoulders, they try to integrate these typical Bauer elements in their improvisations, and with passages like the choral-like ending of the first track they even refer to some of the legendary bands Bauer was part of, like the Manfred Schulze Bläserquintett. In “2“ free jazz lines are contrasted by short, sharp notes, circular breathing meets suppressed, hectic stuttering. Then, in “4“, the trio opens with one trombone playing a melodic line, one delivering a pulse and the third one contributing hissing sounds before they turn to a more conventional, almost spiritual passage just to end the piece with a very abstract part. This is one of the qualities of this album: The pieces always surprise the listener, they evolve in a certain direction just to end somewhere completely different - something Bauer would have liked. Konzert für Hannes is a great tribute to one of European improv’s greatest trombonists, played by three excellent musicians. A worthy reverence. Konzert für Hannes is available as a CD. hello Martin, thank you for this review. A minor point of clarification: Johannes and I didn't have a standing project called 'JB2' -- I think the only time we played as a duo was a piece we did the very first time we met, in Chicago in the late 1990s. But I can see how the liner notes might be unclear about this. The idea for this concert had just been to continue the play on the initials. And a comment: It's not accurate to say that we were "try[ing] to integrate these typical Bauer elements in their improvisations" on this occasion. Especially in a situation like this one, I think we'd all agree it would be an aesthetic mistake, and maybe even in poor taste, to do something like that. 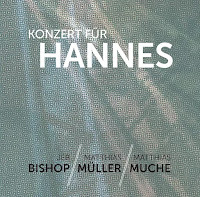 Matthias, Matthias, and I have approaches to the instrument that might be seen as similar to each other in some ways, but that to my ear are very distinct from Hannes's approach, which was very clearly defined and totally his own. I can imagine that a listener might hear all improvising trombonists as tending to have certain kinds of textures/gestures in common. So it is probably not hard to hear points of similarity or possible references in the final product. But I'd like to emphasize that this is not what we were trying to do. I think most improvisers agree that the best way to salute a fellow improviser is not to imitate their language or sound, but to play your own music.